How the Verdigris system can help with Title 24 compliance. Title 24 History or "What is Title 24?" Title 24 sets Energy Efficiency Standards for residential and nonresidential buildings in California. The California Building Standards Commission oversees this legislative mandate to reduce California's energy consumption. It is revised periodically to incorporate new energy efficiency technology and methodology. The 2016 Standards is the latest version and applies to new construction of, and additions and alterations to, residential and nonresidential buildings. The effective date of the 2016 Standards is January 1, 2017. Compliance with Title 24 is required in the state of California; and is aimed to reduce overall energy consumption. This energy use reduction means a better indoor and outdoor environment, less money spent on energy use, a more reliable delivery of services, as well as rebates that may be available through your energy provider. Verdigris can help you to meet the Title 24 Requirements outlined below. Service Electrical Metering - Each electrical service or feeder shall have a permanently installed metering system which measures electrical energy use in accordance with TABLE 130.5-A. The Verdigris System is installed alongside your breaker panel, and uses Smart CTs to monitor your energy use. 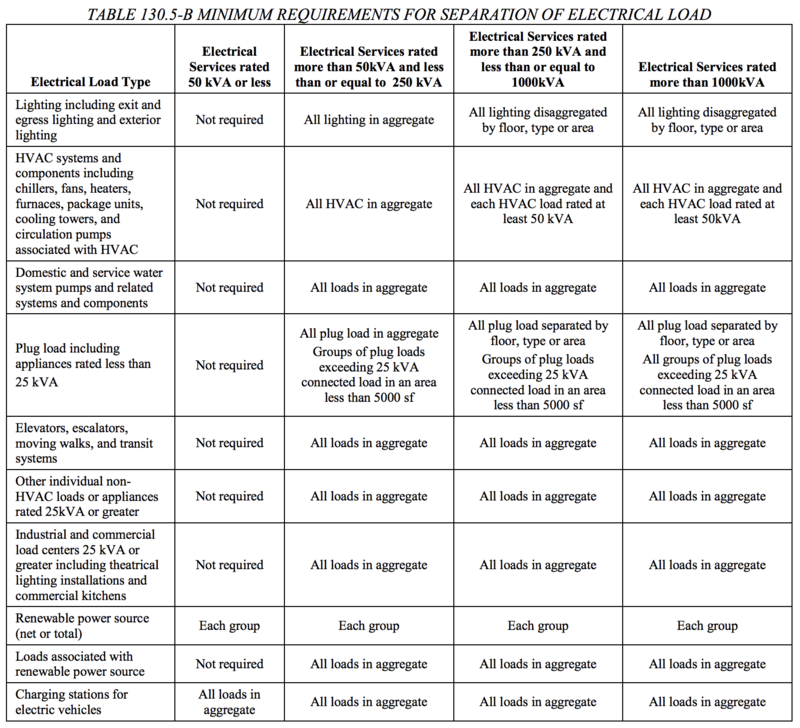 Separation of Electrical Circuits for Electrical Energy Monitoring - Electrical power distribution systems shall be designed so that measurement devices can monitor the electrical energy usage of load types according to TABLE 130.5-B. Monitoring each circuit using Verdigris Smart CTs, coupled with our AI driven web dashboard, you can meet current Title 24 requirements and have 24/7 access to insights through analytics for all types of electrical load. What are other ways Verdigris help me save costs? No demolition - Installation is simple, and only requires the use of a punch-out used on the majority of breaker panels to install. Less engineering - The insights into inefficiencies on your circuits means that you and your engineering staff will save on aggregate energy and demand charges. Little to no rewiring or additional panels - A single Verdigris system is able to monitor up to 42 breakers per panel, and does not require rewiring of the panel in most cases. Earlier occupancy - Ease of installation and setup means you will be able to meet Title 24 standards faster and move into your space sooner. Energy management - AI driven analytics allows for up-to-the-minute insights into energy use and allows for ease of management. Fewer Meters - You are incentivized to use the Verdigris system to its full potential by not only the energy savings via AI driven insights, but also the need for fewer breaker meters overall. Space savings - Without the need for additional panels or housing to accommodate other monitoring platforms, you will save space.